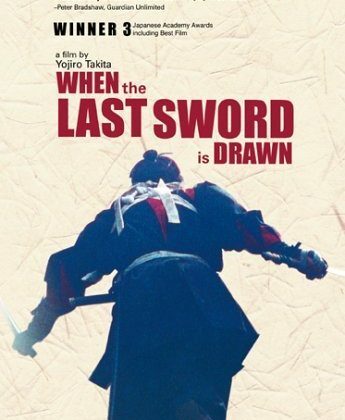 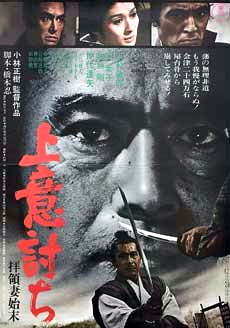 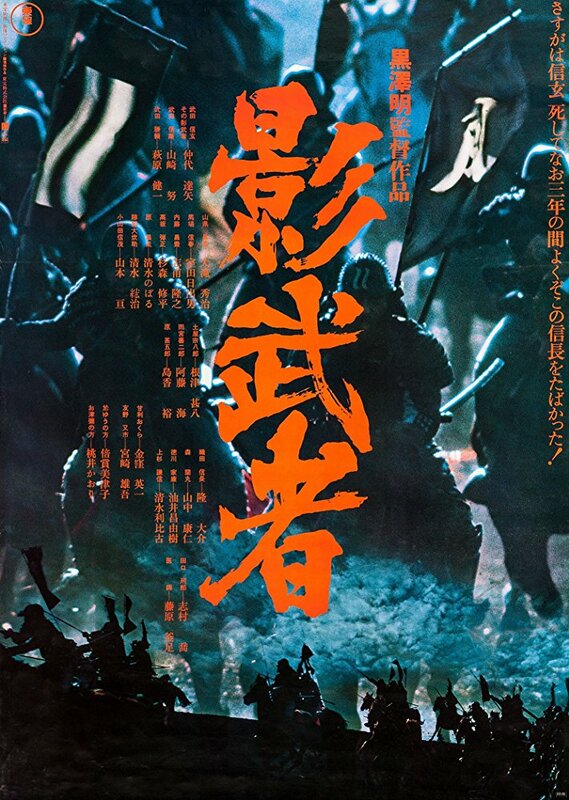 Directed by Masaki Kobayashi and starring Toshiro Mifune with Tatsuya Nakadai. 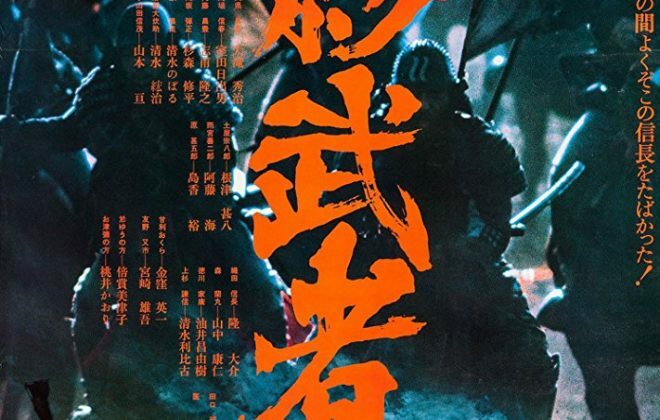 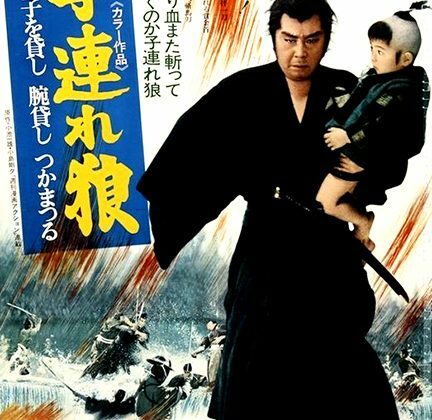 Drama about a Samurai who chooses to rebel against his feudal lord whose service he has spent his entire life in, for the sake of his son. 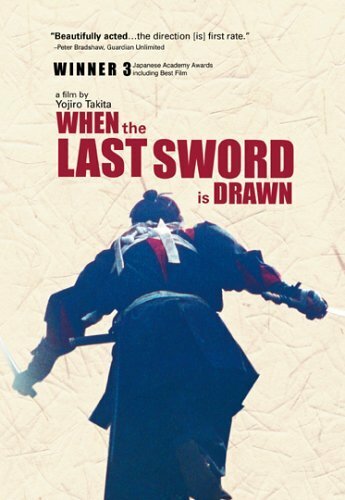 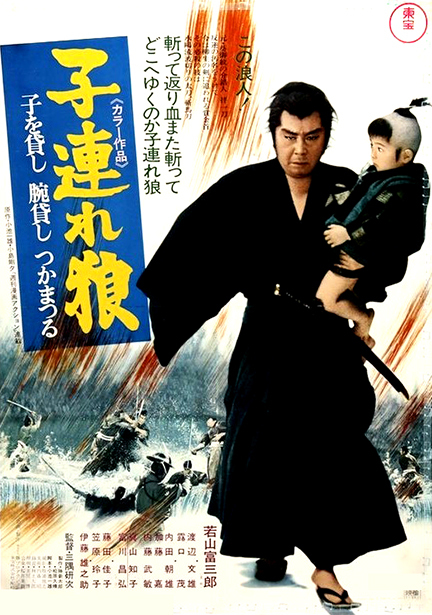 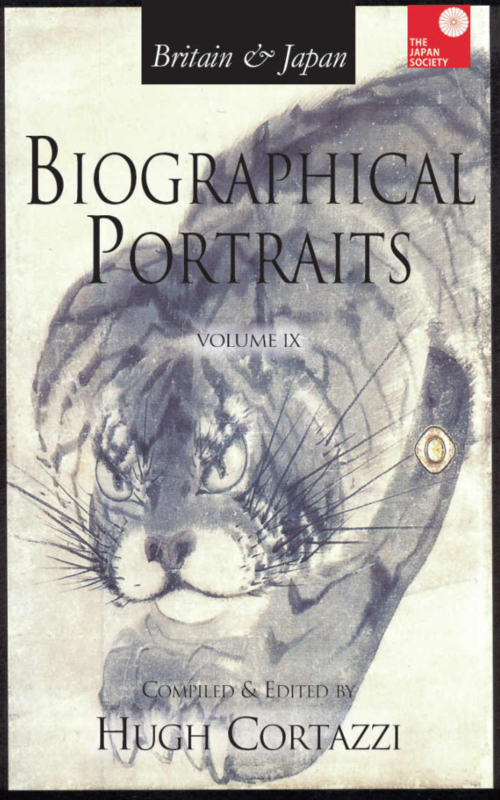 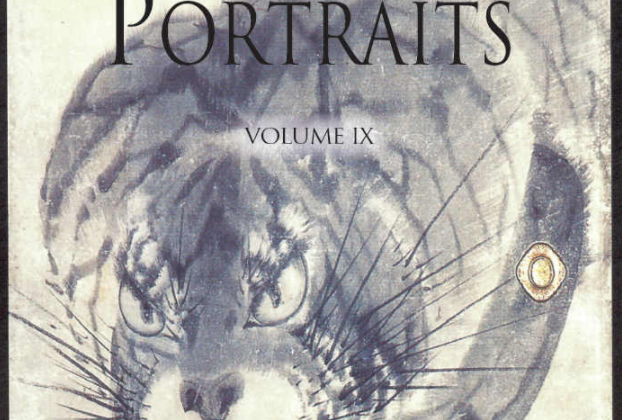 Series of films about a Ronin and his child, starring Tomisaburo Wakayama.